Chicago Cutlery Essentials 15-Piece Knife Set Just $32.12! Down From $79! PLUS FREE Shipping! You are here: Home / Great Deals / Amazon Deals / Chicago Cutlery Essentials 15-Piece Knife Set Just $32.12! Down From $79! PLUS FREE Shipping! 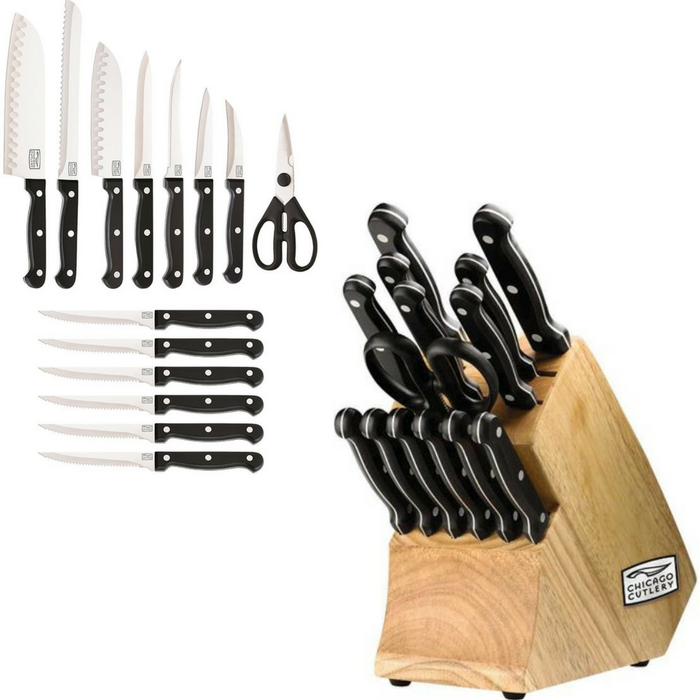 Hurry over to Amazon where you can get Chicago Cutlery Essentials 15-Piece Knife Set for just $32.12 down from $79 PLUS FREE shipping! This 15-piece Chicago Cutlery Essentials knife set has all the essential cutting instruments you need. Knives for peeling and paring, serrated knives, bread and steak knives, even kitchen shears. And they all have triple-compression stainless steel rivets for increased safety and stability. This knife block set makes a gift that will be appreciated for its precision – and its presentation, too.